Last month in New York I was lucky enough to spend some quality time with wedding expert (and fabulous friend) Anne Chertoff, Senior Editor at Brides.com and author of the wedding planning blog From I Will to I Do. Anne has had a fascinating career in the wedding industry, working for Modern Bride, Martha Stewart Weddings, iVillage Weddings, and now Brides.com, so she really, really knows her stuff! Anne indulged me and let me ask her all kinds of questions about what she’s learned over the years, as well what as her current job is all about, so I could share the scoop here with all of you. Thanks Anne! A: In college, all my friends could talk about were weddings. I saw a job listing for a Marketing Assistant at Modern Bride, so I got the job and worked my way up from there. What does your job as Senior Editor at Brides.com entail on a daily basis? A: I plan out the editorial content for the Wedded Bits blog and the seasonal wedding planning packages for the website. I create story ideas and then work with vendors to write and build the articles. I love helping people- both businesses and brides. It feels kind of like matchmaking. What are your favorite things to write about, besides wedding planning advice? A: Cakes! And also those special finds and weird little things that you never knew about before, but can be so much fun. The simple and inexpensive little extras that people will really remember. What have you seen change the most in wedding planning over the years? A: Today brides are more informed, but they are also more overwhelmed because there are so many options available. But if you just go with what you truly love, and don’t pay too much attention to the trends in wedding planning, your wedding will never be dated. Any advice for brides just beginning their wedding planning? A: Know what your budget is, and then add 10% to it so you have some flexibility if things don’t go exactly as expected. Be honest and straightforward with your vendors about how much you are able to spend so they can work with you to make it happen. What are some features on Brides.com that you hope brides will use and take advantage of? A: Our seasonal features are great because they really cover the big picture and give information on multiple topics. Our galleries with search features are really helpful too. 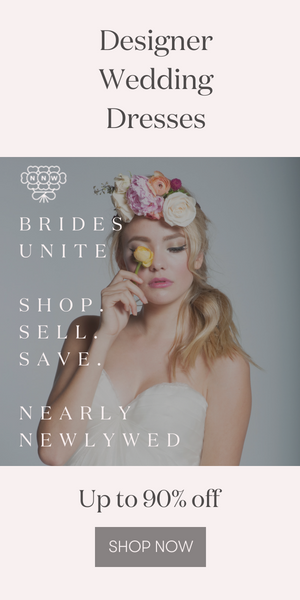 For more straight from Anne herself, visit Brides.com, read From I Will to I Do and check out her super useful and customizable Wedding Organizer from Russell + Hazel. Lots of good info in the interview. Thoroughly enjoyed!